San Diego Comic Con kicks off tonight! I’ll be heading on down there this very evening and chatting with some of the locale who have burrowed deep into the heart of the convention center. But before one ventures into comic-con territory, a rudimentary knowledge of some of the benchmark comics and graphic novels is highly recommended. That’s why I’ve compiled a list of five graphic novels/comics that, should you mention offhandedly to a fellow comic enthusiast, would get you a nod of approval and a twinkle in their eye. The Dark Knight Returns has been hailed as the single comic that revived the entire Batman franchise and, through that, the comic book industry as a whole. By adding a layer of true maturity to what was thought of as kids stories, it stands amongst giants as one of the first actually gritty Batman comics and served as very real inspiration for the darker Batman films that Christopher Nolan’s released. In this comic we see a worn, aging Batman struggling to survive as Gotham is turned to a gang-run hell. Its artwork is tight and angular, giving off psychotic vibrations that continue to echo even now, and the superb writing brings Batman back to his human roots, showing us all what it’s like to truly fall. A cinematic and thought-provoking masterpiece, Watchmen brought comics into the mainstream with its deeply philosophical quandries regarding life, death, and love, and pushed the boundaries of just what the comic book medium could accomplish. 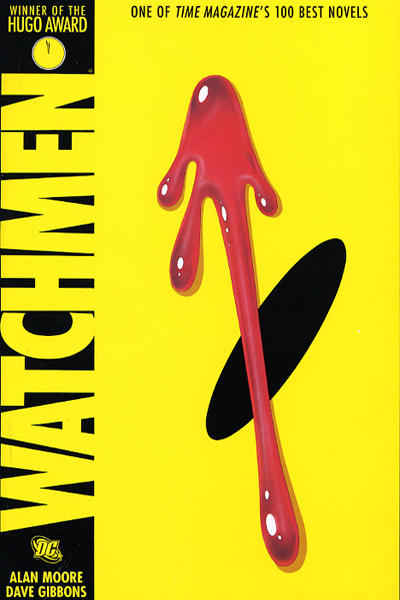 With Dave Gibbons’ hyper detailed artwork providing its own subtextual plot, Watchmen continues to be studied in literature and philosophy classrooms across the world as the comic’s depth continues to unfold even now. 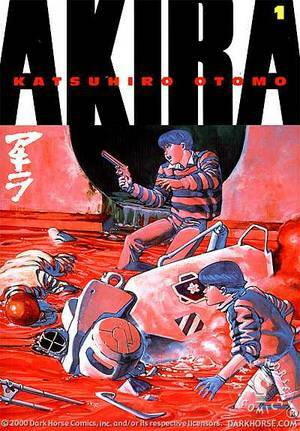 Akira charted new territory with its release in 1989 as being one of the first Japanese mangas to be translated into English. Set in a WWIII dystopic, cyber-punk future, the graphic novel was years ahead of its time in terms of compelling storytelling and graphic design and was largely responsible for the ushering in of a western-fueled desire for more of the Japanese medium. The very first graphic novel ever written, The Contract With God Trilogy is historical in both presence and execution. 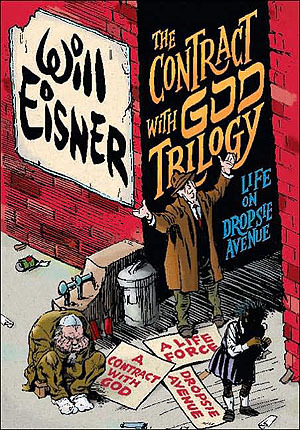 Will Eisner, after whom the Eisner Award is named (he’s that big), created this experimental piece, calling it a “graphic novel” and effectively coining the term from then on, in an attempt to relate a story as though it were being told through memories or dreams. He included very few panel frames, the idea being that, as the panels melded together, it would simulate the experience of dreams or memories. Considered by some to be the greatest comic book story ever told, Neil Gaiman’s Sandman is one hell of an epic. Gaiman spins a yarn that stretches through the ages, filling the pages with language that varies from short and curt to Elizabethan in nature. He constructs and deconstructs pantheons of well known gods, bringing them all into the same world and dismissing them with such ease and finesse that I had trouble not imagining them to be real. It’s beautiful, terrible, and it finds its place easily alongside the works of Homer and Dante in terms of scope and wonderful imagining. Watchmen and Sandman are both EXCELLENT. Contract with God looks intriguing as well. Give it a shot! It’s definitely worth it at the very least for Eisner’s elastic art. I understand why many of those are influential but man I don’t care for Alan Moore except for The Killing Joke. I feel like the only person in the world that didn’t like Watchmen. Haha yeah it was an intense read. Pretty slow at quite a few points. Definitely not like the kinds of superhero comics I was used to reading. Oh man! Sandman has my heart as my favorite comic of all time. It’s the 25th Anniversary as well! Comic Con is doing a big homage to it! It’s cool stuff. I’ve read four out of five. Great list you’ve put together! Looks like I need to track down The Contract With God. Happy to see my personal favorite, Dark Knight, on top! Old dudes rule!